Messages from Ann & the Angels - 03/02/2019 • Love Feels Better! Messages from Ann & the Angels - 12/29/2018 • Creating Your New Year Now! Messages from Ann & the Angels - 12/08/2018 • Relax! You've got help! Messages from Ann & the Angels - 11/03/2018 • Take Your Joy Seriously! Messages from Ann & the Angels - 10/27/2018 • Are You True To You? Messages from Ann & the Angels - 09/01/2018 • Who do you Trust? How do you know? Messages from Ann & the Angels - 08/25/2018 • Guidance - Are you Listening? Messages from Ann & the Angels - 08/04/2018 • Are you a Control Freak? Messages from Ann & the Angels - 07/21/2018 • Reclaiming Your Natural State... and a hike in heaven! 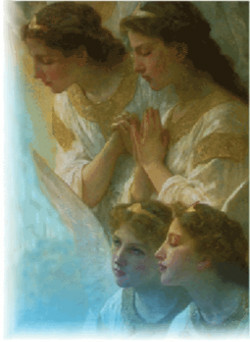 Message from the Angels through Ann Albers: Focus, Feeling, & FUN! Message from the Angels through Ann Albers: Doing what you don't love?